T/Sgt. Glenn Johnson, son of Mrs. J.T. Johnson, graduated from Weaver Cons. No. 13 School. 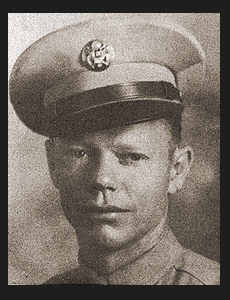 Entered Army in 1942, trained in Camp Barkeley, Texas, Fitzsimmons Gen. Hosp., Denver and Ft. Benning, Ga.; served in N. Africa and Italy; was discharged. Awarded Good Conduct Medal, ETO Ribbon with two Battle Stars.